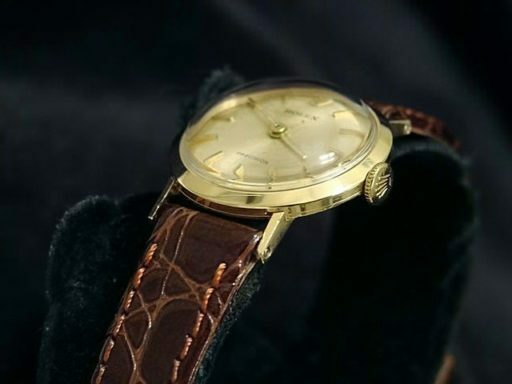 This is a very rare Ladies 22mm GENUINE ROLEX Solid 18k Yellow Gold No Date Precision timepiece that has been fitted with a custom aftermarket brown leather strap. It is in EXCELLENT CONDITION and comes with the Beckertime 100% Lifetime Trade-Up guarantee! 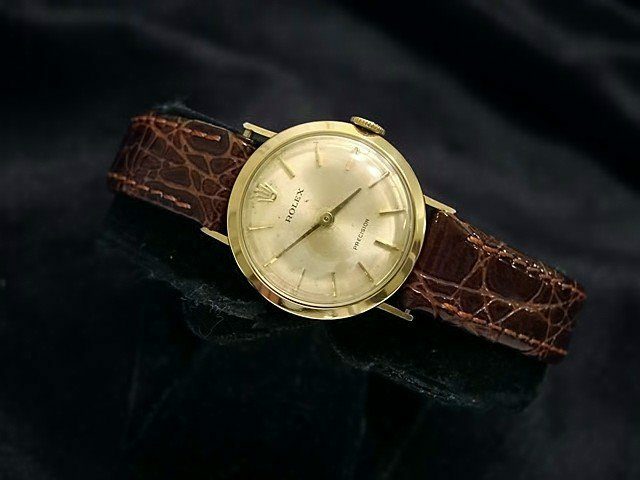 Don’t let this rare piece of Rolex history get away! 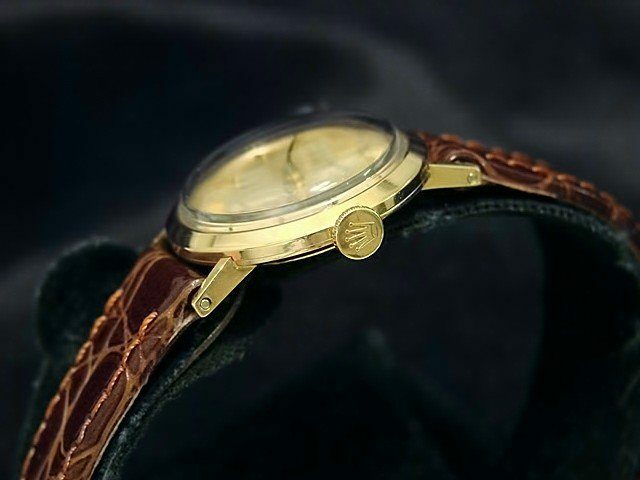 Dial Rolex gold champagne dial with raised yellow gold stick markers shows some sun spotting & wear. Band The brown genuine leather strap with plain (no Rolex markings) buckle is brand new and in excellent condition. This band is not made by Rolex. It is a custom aftermarket band of the highest quality.